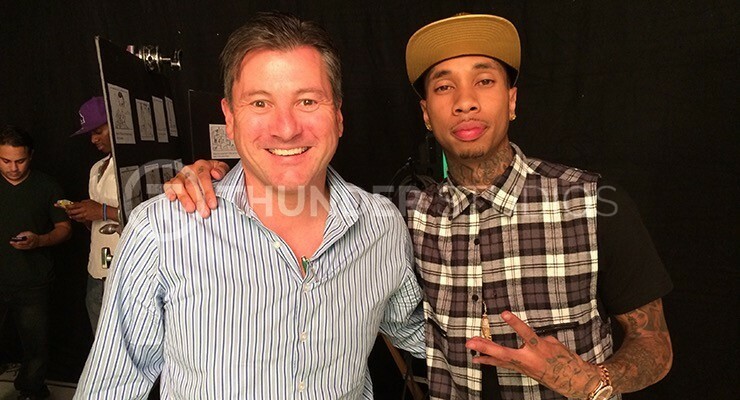 Before filming with Justin Bieber in November 2013, Tyga took my new Tesla for a spin. It was November 2013 when Tyga and Justin Bieber headed down to Thunder Studios to film the video for their single “Wait for a Minute”. The studio phones started running hot that morning after the “Beliebers” caught wind the video was being shot that day in So Cal. We had to employ extra security guards just to keep the fan girls from climbing over the studio fence. Tyga arrived in a head turning Mercedes-Benz SLS AMG, and you couldn’t miss the custom wrap in rose gold. The glimmering “Gullwing” actually features at the end of the video. Previous Post Paywalls and Gaming: The Canary in the Coal Mine?